A new Sonic Youth film is to be shown at FACT alongside a Q & A with Sonic Youth’s Steve Shelley and director Lance Bangs and Getintothis’ Andy Sunley has all the details. In 1988 Sonic Youth released Daydream Nation. An album that bought them to the attention of the mainstream and later attained the honour of being preserved by the Library Of Congress in their National Recording Registry where it sits alongside works by Bob Dylan, De La Soul and Woody Guthrie. The thirtieth anniversary of it’s release was marked by a series of film screenings in a selection of US cities which included Austin, Seattle and New York. One year later this programme comes to the UK and Ireland which includes a showing at Liverpool’s FACT on February 27. The screening will be followed by a Q&A with drummer Steve Shelley, frequent collaborator Lance Bangs, music historian Steve Shepherd and will be hosted by Getintothis’ Rick Leach. 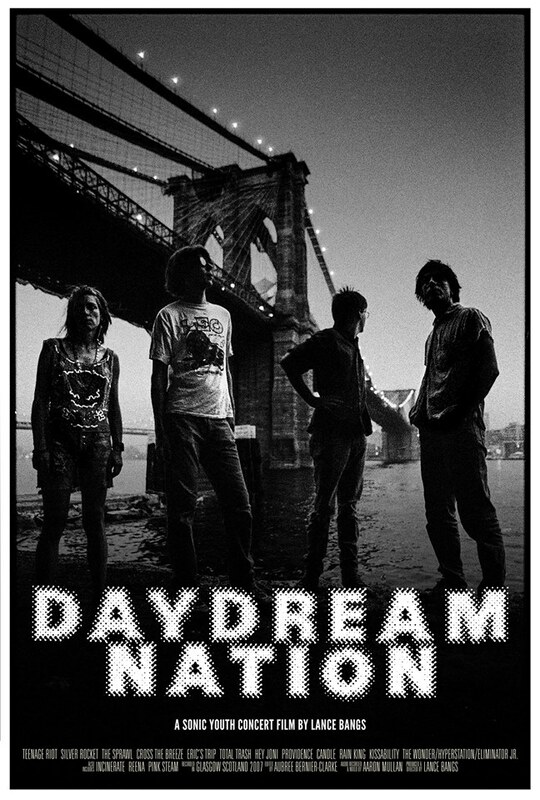 The programme features Bangs presenting excerpts from his Sonic Youth concert film, Daydream Nation shiws the band performing the titular double album in Glasgow on Aug 21-22, 2007. Bangs blends HD footage shot in Glasgow with fragments of personal Super 8mm and 16mm from his archives of Sonic Youth over the decades. Also on the bill is Charles Atlas‘ Put Blood In The Music, a 1989 documentary on the New York music scene which features Kim and co in the period following the recording of Daydream Nation. To win a pair of tickets for the screening of Daydream Nation at FACT all you have to do is like the Getintothis Facebook page, share the post below and tag in two of your friends. Or follow the @GetintothisHQ Twitter account – and RT our competition post.